From the founders of the renowned Instagram pages @inkstinct.co and @inkstinctcolors, Inkstinct is a platform that knows the tattoo trend in every city in the World and feature the biggest directory of tattoo studios. Who is the most influential or the most recent tattoo artist in New York, in London, in Manila or wherever in the World? We will help you find where to get tattooed next or will help you, Tattoo Artist, to grow your followers on your Instagram page. This update is about the usual tweaks and bug fixes to make your Inkstinct experience even better! Amazing app !!! Inkstinct has been one of my most fav app of all time. 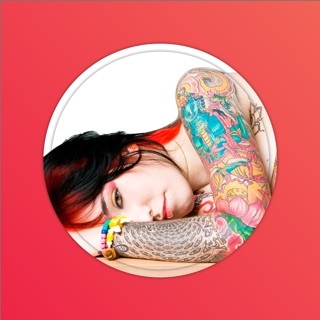 I especially love how it organizes the tattoos into different categories like mainstream, geographic, customized, etc, it makes it easier for users to find the types of tattoos they want. Moreover, it helps you to find the nearby tattoo artists and gives you some comments about them.